HTC's upcoming flagship, presumably the One M10, but bearing the project title of Perfume, hasn't been talked about a lot until recently. Most reports about it are either based on high levels of speculation or very questionable rumors. That was until recently an alleged real-life photo of the handset popped up, showing a radical departure from the One series' design language (no stereo speakers, no huge HTC logo on the front, a fingerprint scanner on the bottom of the phone's face). Up until now, we've believed that the Perfume would sport a 5.1-inch display on its front, marking a slight increase over the One M9's 5-inch screen. A new rumor has just been posted by leakster @LlabTooFeR, claiming that the display on the new device will be even larger, hitting a 5.2-inch diagonal. That aside, nothing else seems to be changing, as the rumor mill still claims the handset will have a 1440 x 2560 pixel (QHD) resolution and a Snapdragon 820 SoC under its hood. On the software side, the phone is said to come with HTC's Sense 7 UI, built on top of Android 6.0.1, with a Sense 8 update coming shortly after launch. The time for the One M9's annual upgrade is drawing near, but we've yet to hear any concrete information on when the new HTC flagship will be available. Perhaps HTC has moved its schedules around a bit, or maybe its just doing really good at keeping information from leaking out. Apr 11, 2016, 7:03 AM, by Paul K.
Feb 08, 2016, 3:04 AM, by Ray S.
Holly Molly... Look at those bezels! Yeah, you can't look at them cause they're practically non-existent...! I really wish the pictures are showing the real M10, but the truth isn't. They should put the bottom boom speaker close to the charging port like s6 edge and iphones and add physical/capacitive buttons like samsung does. I'm so thankful that HTC would never make such a horrid decision as to add unnecessary and revolting physical/capacitive buttons at this modern day and age. Because dreams are always better than reality. I bet,nin your dream you are taller than Jaime. Why can't anyone hire these concept artists as actual product designers? Seems like they understand our taste for coolness much better. 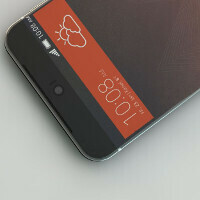 Given HTC display quality was degrading since M7 I don't give much hope this high res panel to be special. I was hoping for 2 generations and every time it turned out to be opposite. This OEM doesn't have consistency a very bad quality to own. Briliant with 360 nits of brightness? Stop joking please. No stereo speakers? That was my main reason to consider a htc phone aside from the ui.